If you’re here for the FREE Christmas Printables scroll down to the bottom…or you can read my super cute reasoning as to why I made these adorable printable’s. Either way, welcome and enjoy! I want to make this Christmas memorable so she can realize when she gets older, that Christmas truly is one of the most wonderful times of the year. 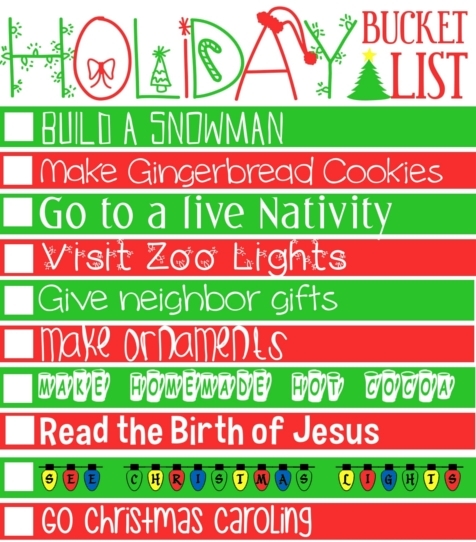 I came up with a Bucket list to do this Christmas Season so we are always staying busy. I know she won’t remember a Christmas when she is 2 when she gets to be my age, (at least I don’t remember Christmas when I was 2) but my goal is to have so much fun that the Christmas memory will last in her little mind at least until the next Christmas season. It’s a challenge, a challenge to do everything on the list! I loved it, and wanted to share it with you. 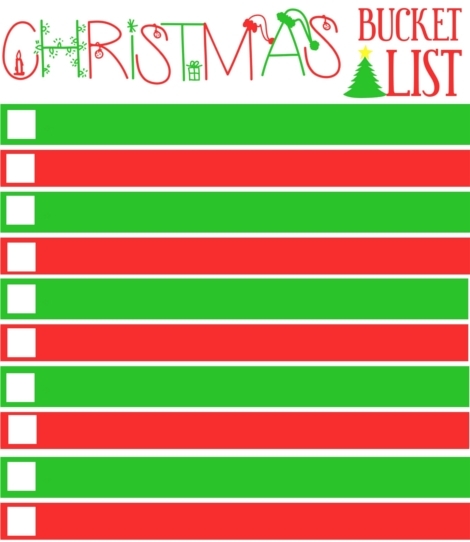 So you get free Christmas Printables of my bucket list….but if you’re not too keen on my list, I have included a blank one for everyone that wants to make their own. I am a total Christmas goer. I always say Merry Christmas. Happy Holidays is not a favorite saying of mine. 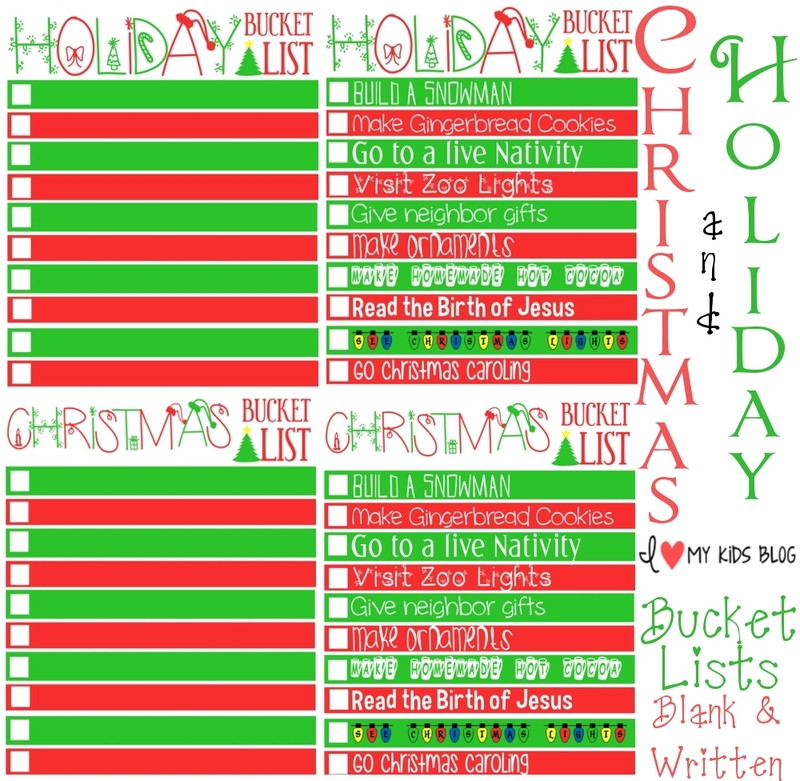 I included both Christmas and Holiday bucket lists. The reason being is that I loved the look of the Holiday one, but I LOVE that the other one says Christmas. We will be using the Christmas one, but I wanted to include the Holiday one, just in case anyone like the look of the Holiday one. If you choose to print a blank one you can type in your own stuff. 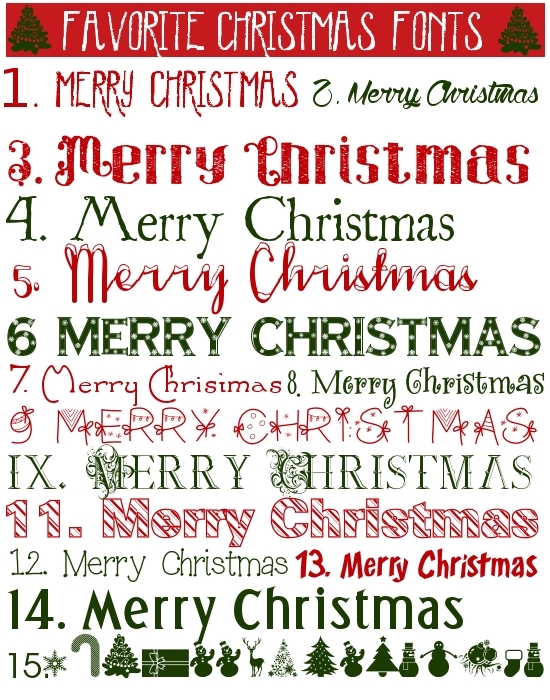 Here are my favorite Christmas fonts you can use to make it cute like mine! I have also included a Santa Beard Christmas Countdown just in time to start on December 1st! The idea of the Santa Beard is each day you put a cotton ball on the beard, and it will make a beard for Santa by the time Christmas comes along! We laminated our Santa Beard Countdown. We plan on putting tape on each number and then just put the cotton ball on. We put it by our Christmas tree and it just awaits until December 1st. My 2.5 year old is very anxious about this one! Hope you enjoy these free Christmas Printables!! 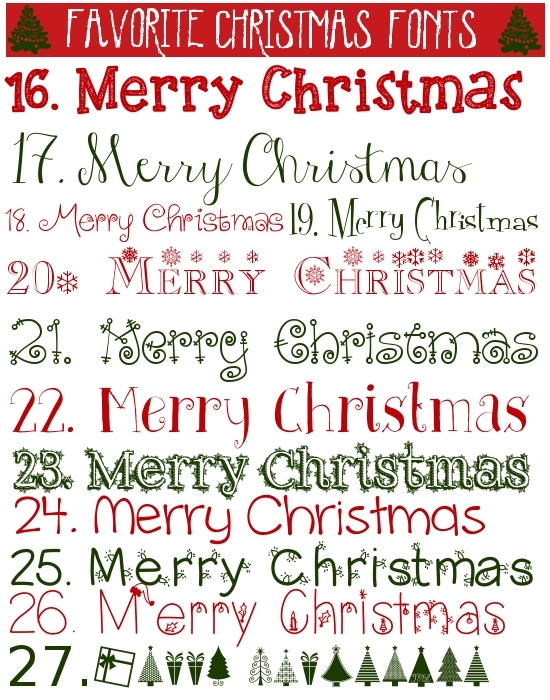 Visit my other free Christmas Printables here!!! The Santa beard is adorable! We just started our chocolate advent calendars and my grandsons are loving it! thanks for sharing! Im really loving free printables for my LO now. I love the countdown Santa beard, the kids will love it. The Santa beard is very cute. Thanks for the fonts.